Imagine my surprise when I walk into FitPro Live last month, during Whole30, and I was offered a sample product I could actually eat! Banana Chia Pods you say?! Just chia seeds, coconut milk and banana?! Perfect! …I remember having a short conversation on Twitter about chia seeds and whether they were Whole30 compliant or not. At that time, I came away thinking YES! Then when I shared a picture on IG of my ‘The Chia co’ delivery this month, Leah informed me that they were not technically Whole30 approved! Hmmm…somewhat too late for me. I was already licking the inside of the Chia Pods pot! Chia Pods come in 4 different varieties – Vanilla Bean, Mango, Banana and Blueberry. That’s also the order in which I like them most! Dairy and gluten free, Chia Pods deliver 100% of your daily omega-3 and 25% of your daily fiber requirements. Chia Pods are entirely preservative and additive free. Cold processing has been used to ensure the full nutrition, taste and color of the fruit is retained, and pure coconut milk gives Chia Pods a creamy texture while providing healthy, medium-chain fatty acids. In the last 30 days, they have been uber useful as part of my daily meals. They’ve helped to ensure I am full and keep me feeling full for longer in between meals. Now I’m officially post Whole30, I also have some chia seeds and shots from The Chia co to experiment with. The shots will come in handy for sure; in hindsight now, I’m thinking a chia shot would’ve been perfect in an iced tea I had while out today! I’ll be sure to remember that for next time! What are your thoughts on chia seeds?! …have any great recipes for me to try out?! Share with me! I've been intrigued but they are so expensive at more store – a couple dollars for one! I guess if I think of it as a treat …. I agree! Needs to stay in the fridge! do you have a link for your own recipe?! 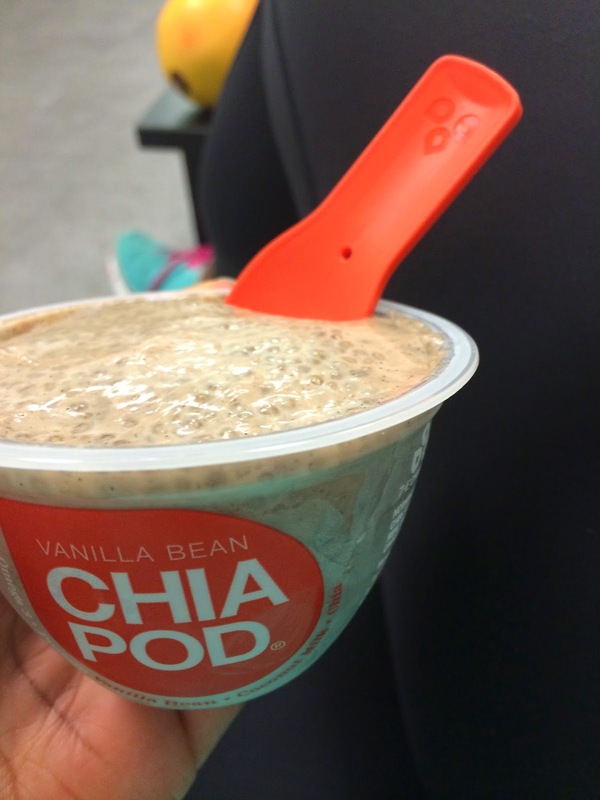 I'd love to see what you add to your chia pudding! I made my first chia pudding this week and was surprised by how good it was. The convenience of being able to buy it pre-made would be great though. Since doing my Whole30 earlier this year I am so much more careful with my eating and these sounds like they would fit into my snacking/treat needs nicely. congrats to you on completing a whole30 too! I hope I'm like you and still being careful months down the line! …yes, you do need to be a little organised when making your own chia pudding! these have defo been useful for me when time is limited! I absolutely love those chia pods! I was hesitant to buy them at first but the flavor and texture are both great. I agree! …I didn't however like the blueberry one which is surprising considering how much I love blueberries! 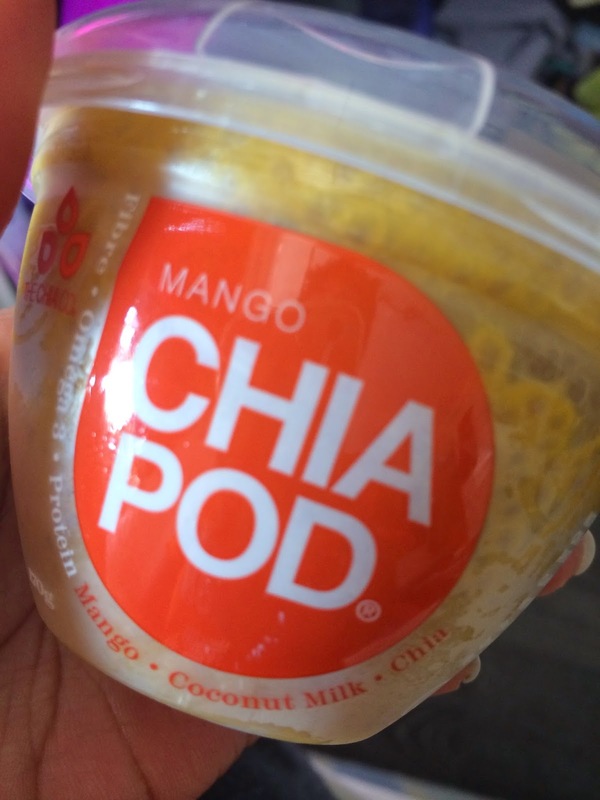 I love chia pods, really handy if you are out and about. I like to make my own chia pudding, and I always add chia seeds to smoothies and oats. These are great for when you are in a pickle, but they are quite expensive here, which is why I make my own, so easy too. I know some people don't like them, but that's because they don't find them sweet enough. I love them.